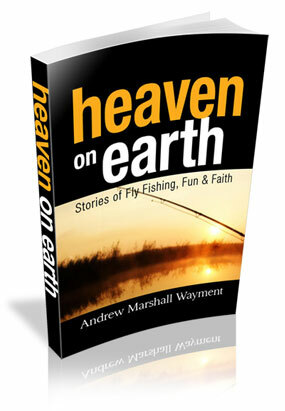 If you have followed the blog for a while, I’m sure you have heard about my book, Heaven on Earth: Stories of Fly Fishing, Fun & Faith. To date, I have been very blessed with great reviews. In the Upland Equation archives, I have posted links to many of these reviews. “Often times fly-fishing books are written only for those who understand the sport and want to get better. Sometimes these books share stories of adventures on the back end of a fly rod but fail to connect with the average reader. If you are interested in reading more, here is the LINK to the full review. The publication of this book has been a fulfillment of a long-time dream and I am very grateful to all those who have reviewed it and gave such positive feedback.